It's time for her to assert her personality and we have just the way to let her do that. 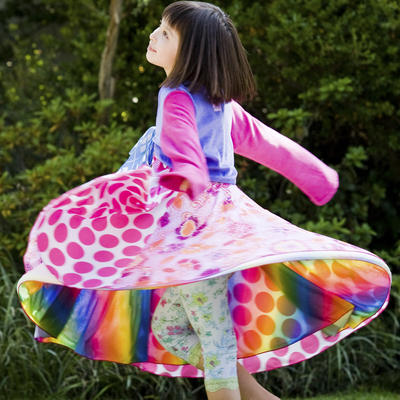 Our girls dresses size 8 come in a variety of twirly styles and colors. Letting her pick out one of our covetable styles of dresses, skirts, hoodies, leggings and more, will ensure that she will wear it. And you can rest easy knowing that all our garments are soft, comfortable, and age-appropriate. And thanks to our 4-Stitch Overlock, all our seams are extra-strong. That means they withstand lots of wearing and washing.